Epicurean Endocrinology is a Project By Liz Flyntz and Byron Rich. Since 2017, Liz and Byron have been working on Epicurean Endocrinology. The project began as their independent research converged on food systems, food marketing, and endocrine disruptor proliferation. 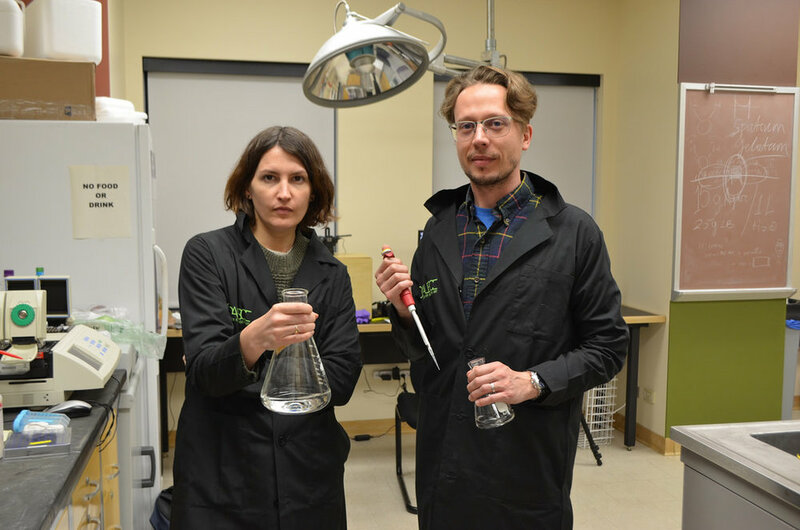 They’re combined research engages with scientific literacy, public policy, regulatory systems and the performative nature of both the kitchen and the lab. They are available for workshops on endocrine disruptor detection and extraction, endocrine disruptor-rich cooking demos, and lectures. Sign up with your email address to receive news and updates about shows, events, workshops, demos, and product launches.